In an earlier post this year I showed how to easily convert a Word Doc to a Google Doc - click here for post. 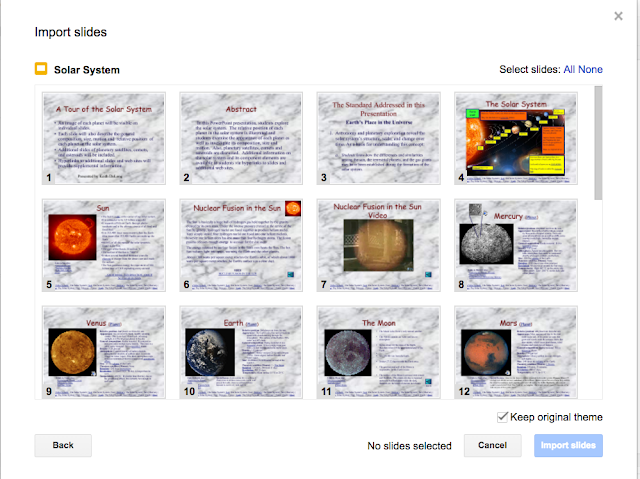 Numerous people have asked me about converting PowerPoints to Google Slides. There are two ways this can be done. 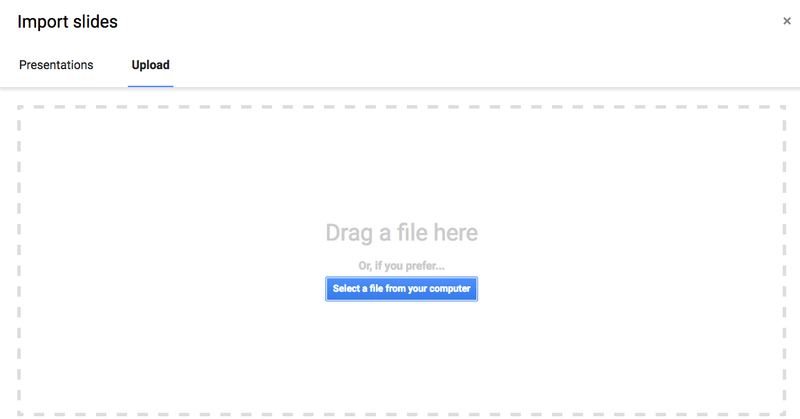 The first way is very simple - the second way (seen below) is a bit more time consuming - but can be done. 7. Be sure to check how the PowerPoint transferred and make sure it is to your liking. You will see two GIFS and two 20 second embedded YouTube videos below (videos are the same as the GIFS but with audio). Below that are a few directions as well. 1. 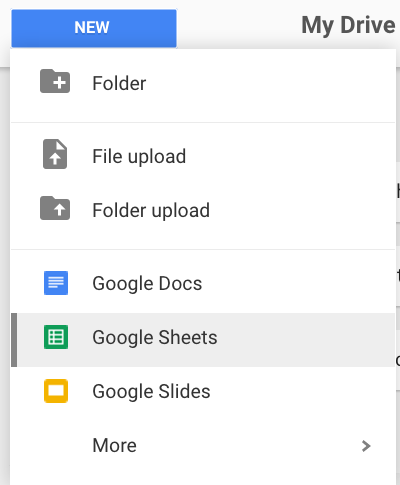 Log on to Google Drive and select Google Slides. 2. 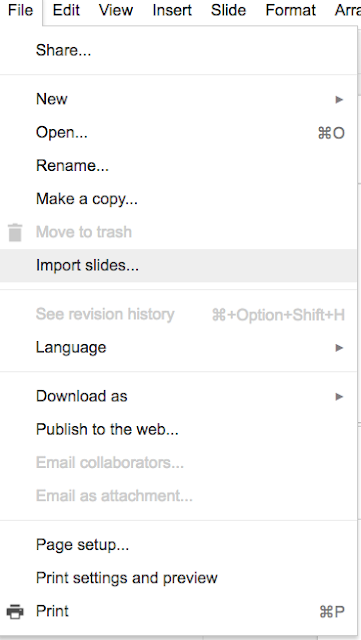 Make sure to select "Import Slides"
4. Select just a few slides or all and click on Select Slides. Any questions, please let me know! Want free images and videos to use anywhere? How to blur faces in a video. Want to record your iPhone or iPad screen?